Asia Pacific continues to lead the charge in global app growth—so much so that the region drove 53% of all app revenue in 2016 with more than 86.2B total downloads.1 But a flourishing market doesn’t come without its own challenges. As competition floods the market and app users have more choices than ever, finding and engaging the most valuable users will require more innovative approaches. Here, we break down how marketers in the APAC region can effectively reach and acquire their most valuable audiences in the fast-growing and fiercely competitive app market. The reality is that many people download apps they never even use before deleting them from their smartphones. The key to sustainable growth is finding ways to reach the most engaged, attentive audience with the right message on the right channel. The good news for app marketers? New digital technologies fueled by advancements in AI and machine learning are making that process simpler and more efficient than ever. Considering how important it is to find the right users, marketers need to focus on making their app visible on the right channels and ad formats. This can be a complex process without having a complete picture of their users. Universal App Campaign — which helps promote your apps across Google’s largest properties including Search, Google Play, YouTube, and the Google Display Network — combines information Google has on users’ signals and intents outside of the app (such as what they’ve searched for, what other apps they’ve downloaded, what they’ve watched on YouTube) with advertisers’ information on user actions in the app. UAC then uses machine learning technology to make the smartest decision for each ad by analyzing over 300 million potential data signal combinations in real-time —including the platform where users are most likely to engage with your ad (such as YouTube or Gmail), the right ad format (whether video, text, or combination of the two) and keywords that will perform best for a marketer’s KPI goals. Marketers can also leverage the power of machine learning to optimize ads for different objectives. For example, marketers of a food delivery app could choose to optimize an ad based on a target cost-per-action (CPA), such as number of food orders placed, or focus on a different objective like the return on ad spend (ROAS) by targeting users with high total order amounts. Using UAC, app marketers are now able reach high-value users across the Google Play store, Gmail, Google Search, YouTube, and more than 2 million sites and apps in the Google Display Network—all with a single campaign. All marketers need to do is focus on three strategic inputs to power the UAC: the quality of their ad creatives, bids and budgets, and conversion data. Develop a range of creative assets: Supply as many different kinds of text, image, and video assets that align with your KPI goals, whether you want to drive more installs or certain in-app actions. UAC will use these assets as building blocks to create the most relevant ads to serve across platforms where users spend time. Define your bid and budget: Setting a higher budget will help to scale and reach a wider audience, while UAC’s different bidding strategies allow marketers to automatically tailor their bids toward KPI goals, such as target CPA, target ROAS, and target cost-per-install (CPI). Share your conversion events and values: Data about the value of users’ in-app actions will help continually optimize your campaigns toward the actions that matter most to your brand. By controlling these three levers, you can quickly and easily find the right mix of users for your app. Fresh, dynamic ad formats are key to connecting with high-value users on many different channels, but the reality is that searching on app stores is one of the most common ways users discover new apps.3 That’s why it’s crucial to get in front of users as they start searching and browsing an app store for their next favorite app. Access to exclusive, premium ad inventory is just one way that UAC enables you to easily scale and reach new users across different channels. For example, when users visit the Google Play store to search for new apps, UAC allows you to easily reach them with prominent placements on the home page and app listing pages (shown below) within the store. Phone storage space is at a premium for most mobile users in APAC, so the more you can showcase an app’s layout and features in your ads, the better chance you’ll have of engaging the right users.There’s often a simple reason why many users uninstall an app shortly after downloading it: It’s hard to tell what the experience will be like without using it. With new HTML5 ads and playable ad units, users can try out an app directly within the ad without needing to install it first. As the number of app users in APAC keeps growing, it will only get more challenging—even for the savviest marketers—to reach and engage with the right users. Leveraging the power of machine learning is just one step toward connecting with your target audience, streamlining your app install campaigns, and sparking sustainable growth in APAC’s crowded app marketplace. Digi, one of Malaysia’s leading telecommunications providers, used UAC to automatically target the most relevant ad inventory across Google with a variety of ad creatives as well as adjust its bids to drive downloads at a target cost-per-install. Downloads increased by 122% just one month after the UAC rollout, and the brand’s newly acquired users made 7% more transactions and had 15% more sessions than average app users. 37Games, a gaming company in Taiwan, used UAC’s machine-learning capabilities to find its highest-value users, optimize its campaigns for high-value in-app actions, and reach its target audience with new video ad formats. The result? A 230% ROI increase and 500% more purchases from users acquired through the UAC. 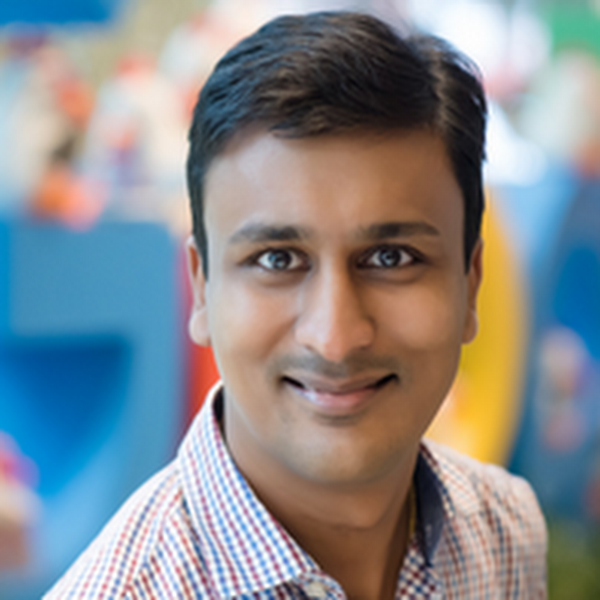 RedBus, an online bus-booking platform in India, tackled the challenge of increasing bus-booking transactions at a minimal cost by joining together its search and YouTube app install campaigns into UAC with a target cost-per-acquisition (CPA). The new campaign allowed redBus to bid more efficiently to reach its highest-value users and ultimately helped drive a 400% increase in in-app transactions at a 40% lower CPA. GO-JEK, an Indonesia-based ride-hailing and payments start-up, switched to UAC to automatically serve ads to more relevant audiences across Google Search, Google Play, the Google Display Network, YouTube, and AdMob. The streamlined campaign in 2015 led to millions of people seeing their ads and subsequently installing the app at the brand’s target cost-per-install. AppAnnie, “App Annie Market Forecast 2016–2021,” 2016, Global. RadiumOne, “State of Mobile Acquisition,” 2016, Global. TNS/Google, “Mobile App Usage Study,” July 2016, n=1,000 smartphone users per market. Google Internal Data, April 2017, Global. Google Internal Data, July 2017, Global.